Female MPs appeal for the lifting of a ban on staff recruitment for the health sector to address current nationwide shortage. Government should lift the ban on recruiting more health workers to address current country-wide shortages in hospitals and health centres, MPs have said. The MPs said the health sector risks running into a staffing crisis if government does not re-consider its ban on recruitment of staff before the end of this financial year. 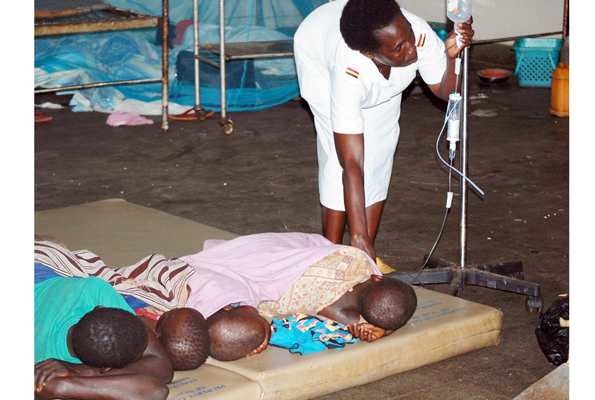 Under the Uganda Women Parliamentary Association, the lawmakers made the appeal while on a fact-finding mission in Bukedi sub-region to ascertain whether government health units receive sufficient drugs, have adequate infrastructure and staffing. But the MPs discovered that inadequate staffing and dilapidated structures were some of the key factors hindering health services. Government banned recruitment of health workers effective this financial year, saying only those who retire or leave the profession will be replaced by new ones. Butaleja Woman MP Cerinah Nebanda said: “There are health facilities in the country that have less than 30 per cent staffing level which is not good for the sector to operate at optimal level,” said Ms Nebanda. Dr Jane Aceng, the director of health services, while appearing before the parliamentary committee on health services last month, said staffing level for Ministry of Health should be raised from the current 58 per cent to 70 per cent. However, if the ministry chooses to register 100 per cent staffing level, it will need to recruit an additional 24,609 personnel at Shs149b in annual wages.